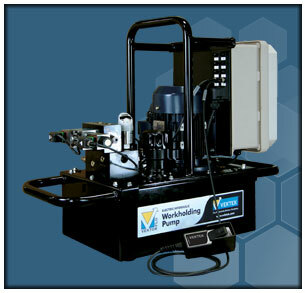 The durable 2-Stage design of this pump stands up to high demand circuits along with high or low duty cycles. 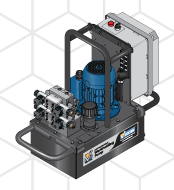 To help extend the life of the pump and valves, the high pressure output and low pressure returns are filtered. With a 5-Gallon reservoir, the oversized fill tube makes refilling simple! Saves hundreds on energy only runs on demand! Easy modular, configurable design allows you the options that you need. See our Convenience Packages for the most popular configurations, fully optioned with all the basics built included. Automatic low oil level protection. 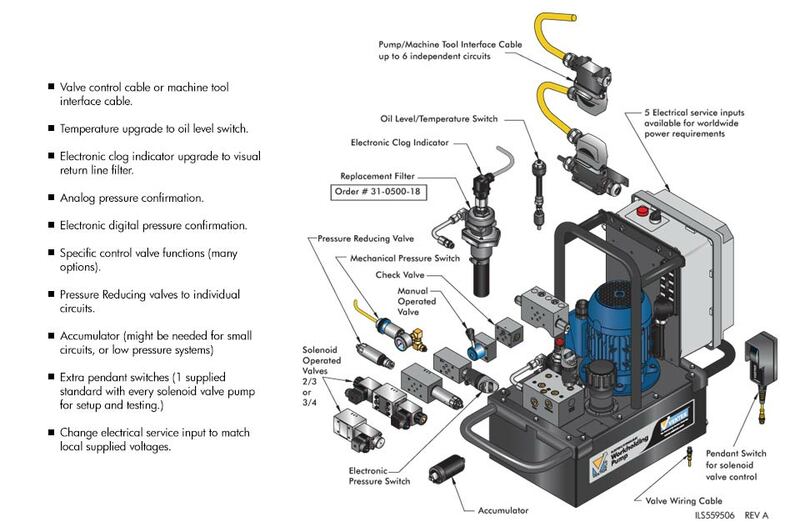 Designed to save electricity using on-demand pressure and VFD motor controls. Stands up to high or low duty cycles without adjustment. 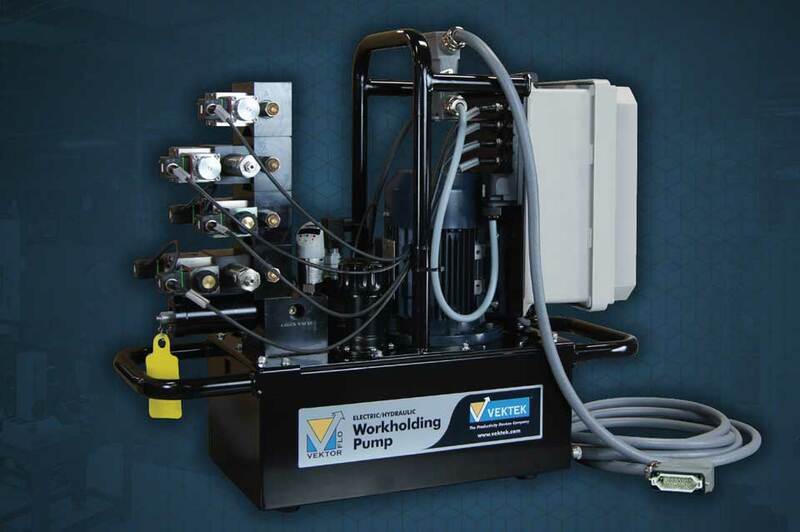 Valve Type: 24VDC 2-Position 3-Port Normally Closed "Dump Pump"
Single Acting Decoupled Systems Valve installed with a control pendant to power systems using the Self-closing Decoupler and Tombstone Top Plates. Commonly called a "dump pump" and uses a momentary contact pendant switch. When preset pressure is reached the control valve automatically shifts and dumps pressure back to tank. Operator interface is by remote pendant or can be wired into a machine controller. Single Acting Live systems. 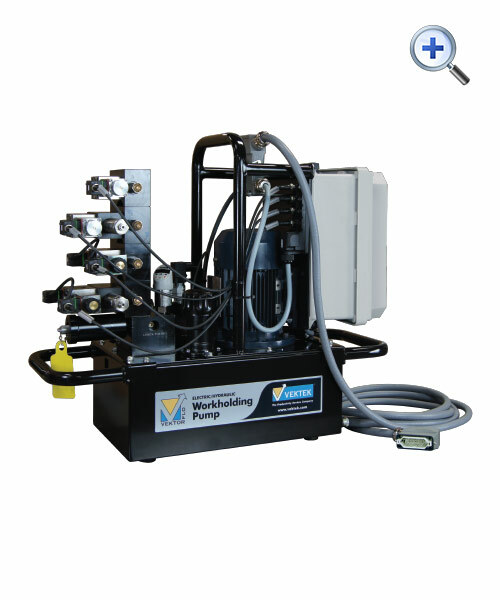 Use with Manual Pallet Decouplers, Tombstone Top Plates and Self-Closing (single hose) Decouplers Operator interface is by remote pendant or can be wired into a machine controller. NOTE all decoupled valves are de-energized when not in use to avoid heat build up between cycles. 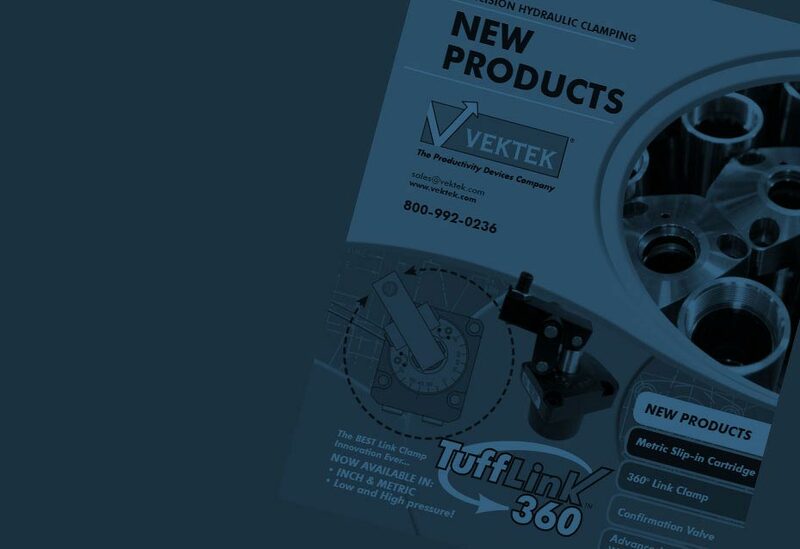 Reduces pressure to clamp or unclamp side of a circuit. Use with one or two handed Auto-Shutoff Decoupler. P-blocked center valve drops pressure in both lines. 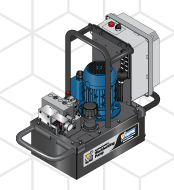 Allows decoupling and re-coupling of the hoses. used to operate two individual single acting systems at different pressures. Operator interface is remote pendant or wired into a machine controller. Double or Single Acting. Use 1 or 2 handed Auto-Shutoff Pallet Decoupler. 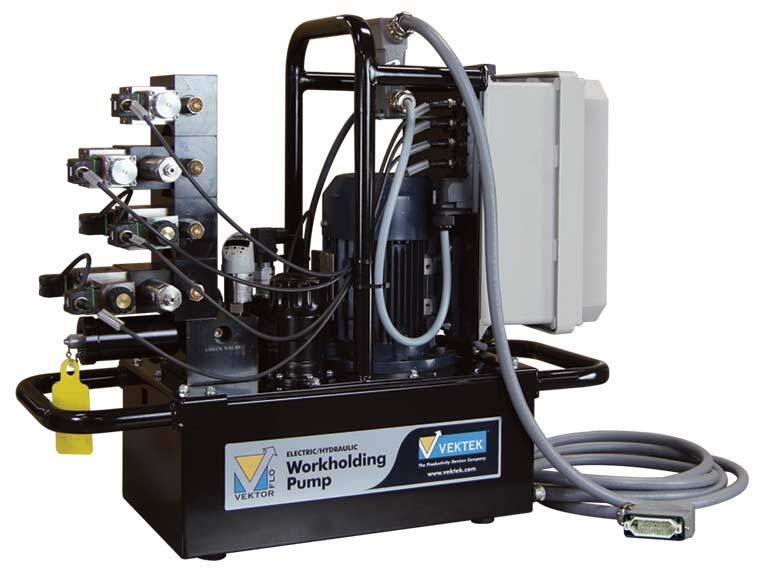 Uses a P-Blocked center to drop pressure in both lines to decouple and re-couple hoses. Operator interface is by remote pendant or can be wired into a machine controller.